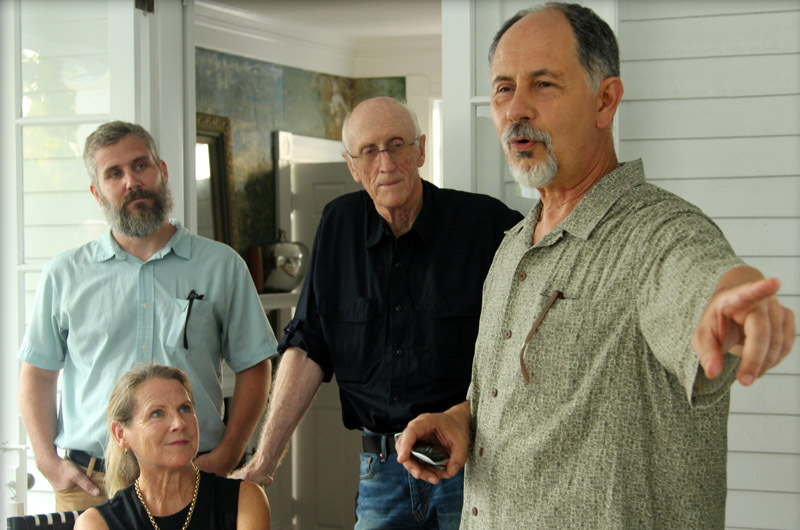 Jeff Johnson, Ryan Phelan, Stewart Brand and Tom Chase discuss the ground-breaking first phase of heath hen project. The first phase of a ground-breaking project to bring the heath hen back from extinction has been successfully completed, scientists told a group of Vineyard donors this week. With DNA sequencing of both the extinct bird and its closest living relative complete, the path to bringing back the heath hen is not only getting more tangible, but scientists say the heath hen could be “the gateway bird” for avian de-extinction, paving the way to bringing back other extinct species or saving endangered animals. 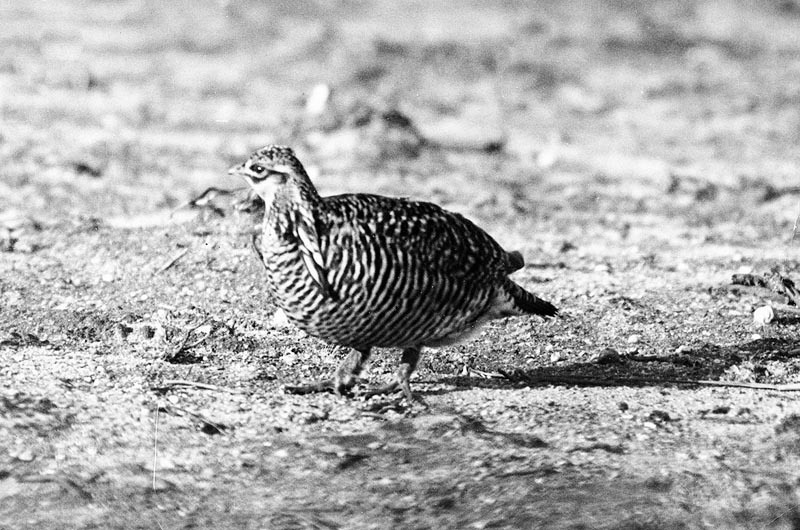 The heath hen went extinct more than 80 years ago on the Vineyard. 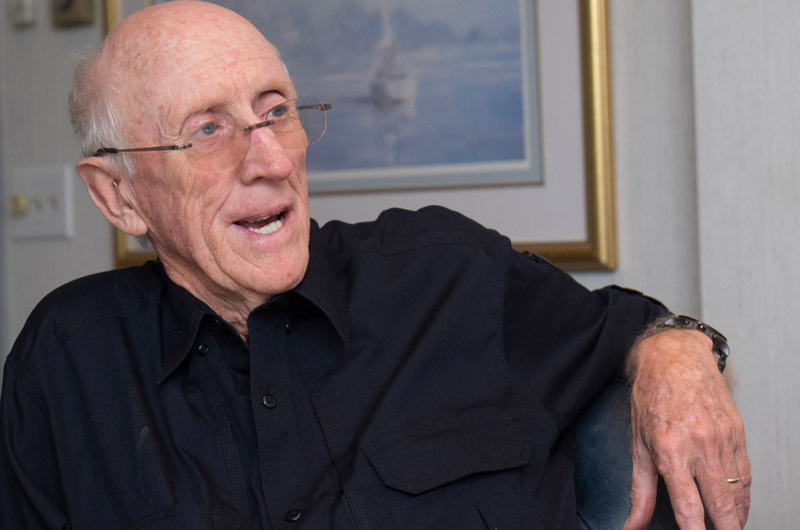 Less than a year and a half ago, Ryan Phelan and Stewart Brand came to the Vineyard with what they called a big idea: using genomic technology, which has advanced substantially in recent years, their organization Revive & Restore is coordinating projects to bring extinct animals back. One of the top candidates on the list, they said, was the heath hen, a member of the grouse family that went extinct on Martha’s Vineyard in 1933. The heath hen project got underway last year with an initial $50,000 in funding from donors with Vineyard ties: Warren Adams, Ken and Ann Baum, Jesse and Betsy Fink, Peter and Gwen Norton, and Brad and Hadley Palmer. The donors joined a growing network of volunteer scientists and conservationists from across the country who are investigating the new technology. The project is an exciting new conservation tool, scientists say, and recasts extinction; as long as the DNA is still around, even in museum specimens, the species isn’t totally gone. In this way of thinking, dinosaurs fall into the realm of gone forever, while heath hens, passenger pigeons, great auks, even woolly mammoths, some of which were preserved in ice, are still living, in a way. Using that DNA, in less than a year Mr. Brand, Ms. Phelan and a team of volunteer scientists have completed complete genomic studies of the heath hen and one of its closest living relatives, the greater prairie chicken. The heath hen DNA was plucked from the toe pads of museum specimens in Chicago, Philadelphia and Toronto. 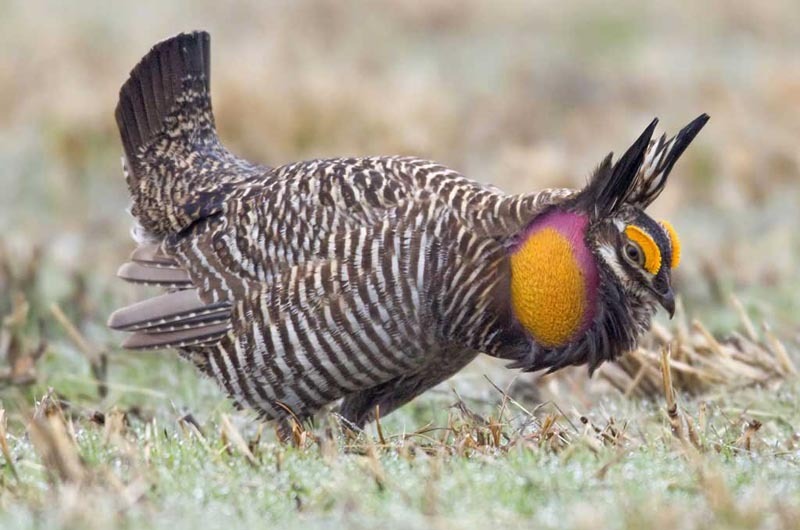 The greater prairie chicken was killed for the cause, with proper permits, in Nebraska last December. Because the ancient DNA of the heath hen is often fragmented, the greater prairie chicken genome is used to create a so-called scaffold to fill in missing links. 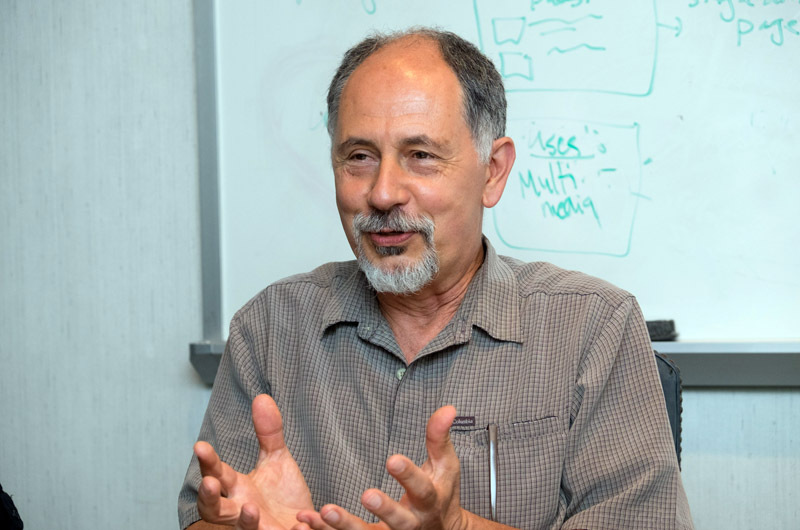 The sequencing work was done at Dovetail Genomics, a new company based in Santa Cruz, Calif. This week, Mr. Brand and Ms. Phelan were back to share the results with those on the Vineyard who got the ball rolling. Coming to the Vineyard was significant. The birds were once abundant throughout the East Coast, but their numbers were depleted by habitat loss, hunting, forest fires and predators. By the late 1800s the heath hen existed only on the Vineyard, and a 1916 wildfire did considerable damage to the population. The last heath hen, a male called Booming Ben, died on the Vineyard and the entire species was declared extinct. Last summer, Ms. Phelan and Mr. Brand held a forum on the Vineyard to discuss the project and gathered the financial support to begin the work from Island donors. The idea has met with mixed reaction from the Vineyard conservation community, with some concerns that the project isn’t feasible and other worries that it draws money and attention away from existing conservation efforts. 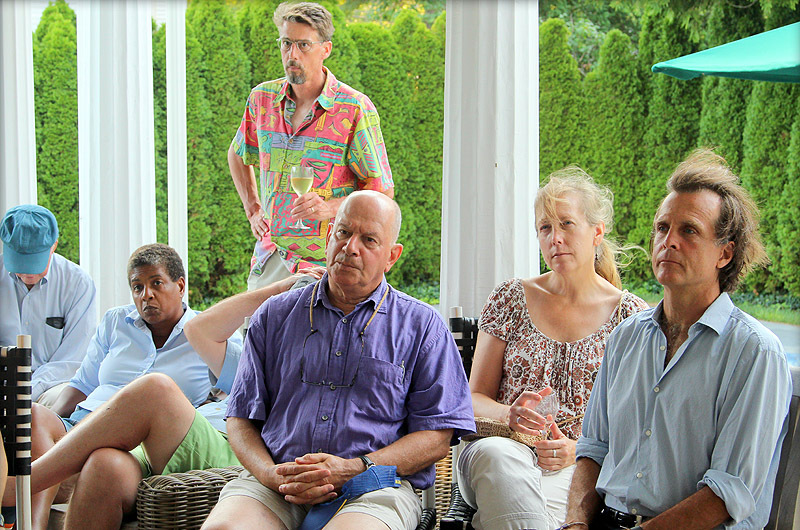 A day earlier, about 30 guests, including almost all the initial donors, gathered on the back porch of Brad and Hadley Palmer’s North Water street home to hear an update about the project and to see how far their donations went in a year. “This is a project that came in on budget, on time, and delivered far more results than promised,” said Tom Chase, a Vineyard conservationist and key advisor for the project. As a crow cawed in the background and the family dogs roamed the porch, the group learned the answer to one of the big research questions: just how different was the heath hen from its prairie cousins? If there was little genetic difference, de-extinction would be pointless; the group could talk about reintroducing the other prairie chickens to the East Coast. If there were substantial differences, the heath hen would be a candidate for de-extinction. The answer was revealed with the appearance of a slide filled with rows of DNA base pairs, a few brightly colored. Project coordinator Jeff Johnson, a biologist and professor at the University of North Texas, decoded the slide. The next step, if the project continues, is work on how to manipulate a close heath hen relative to carry heath hen genes. There are two options for this work. In short, option one is germ-line transmission of cultured cells, with gene editing taking place in cell culture. This step needs finessing, Mr. Brand said, but could be used for multiple genes at once. The other option, now being developed in Australia, is direct germ-line editing, which takes place in the bloodstream. This would be cheaper, but does not have a multi-gene capability. For both options, scientists will need eggs to work with, and in that sense they are bound by nature. Prairie chickens breed once a year, in the spring. The soonest this work could take place is spring 2016, and two breeding seasons would likely be needed. The cost is estimated at $180,000, or $90,000 per year. About 40 eggs per season will likely be needed. To test the technique, scientists would introduce a fluorescent green protein gene into the host. Success would be a fluorescent chick. The ultimate end goal is a host species that is a chimera: part Attwater’s prairie chicken, for example, but with key heath hen genes. If this is successful, the next phase — a “back of envelope” plan — could be actually creating heath hens. This is expected to take three to six years at a cost of about $300,000 per year, and would require coordination with labs, custom breeding facilities and phenotype testing sites and facilities. The final phase would be transitioning heath hens from captive breeding facilities to the wild. There is no set budget for this, Ms. Phelan and Mr. Brand said, because there will likely be partnerships with zoos and others. The end result of this stage could be heath hens doing their mating dances back in the wilds of the East Coast. The scientists involved stress that at each stage along the way, important knowledge is gained that would make the project a success even if it goes no further. Greater prairie chicken DNA is a crucial part of the project. Learning to do genetic editing could be used for all birds, either extinct or endangered, Ms. Phelan said. The gene research could be used to target avian diseases like avian malaria, which is decimating Hawaiian songbirds, or otherwise provide genetic rescue for birds in danger. The work could also be used for other birds that are candidates for de-extinction: the passenger pigeon, the great auk, the Carolina parakeet and the moa are all in the mix. In some ways, “form follows funding,” Mr. Brand said, and which species will lead the way depends on whether there is money to fund the work. The projects also depend on the level of interest and community acceptance. “Our approach is to move forward on all of them,” Mr. Brand said. “They inform each other.” If the concept is proved successful with the heath hen test case, it could quickly be adapted for some of the other species. But the heath hen has several factors in its favor. It is closely related to the chicken, which has a genome that is extremely well-known and well-studied. There is also knowledge about conservation and captive breeding thanks to Vineyard attempts to save the heath hen and studies of closely related species. And while the heath hen is completely different from the greater prairie chicken, it is also relatively close: closer than the great auk to a razor bill, for example. “Closeness to its living relative and at least in the same family where we have infinite data is very promising for this bird,” Mr. Brand said. Even if the heath hen comes back, project leaders are clear that it might not come back to the Vineyard. “The idea that the heath hen could come back is distinct from the idea that the heath hen could come back here,” said Mr. Chase. Nearby islands could be ideal, he said, with their expansive open habitat and fewer predators. For the heath hen to come back to the Vineyard it would need habitat, which would be a challenge that some conservationists say would benefit other species, for example eliminating predators that decimate existing ground-nesting birds. Other species that have been lost could begin to thrive again. But the next step is genes and eggs. Mr. Brand and Ms. Phelan are working to raise $180,000 to fund the next phase of the study. They got a good start on the Vineyard this week. At Monday’s gathering, Peter and Gwen Norton, some of the first backers of the project, pledged to fund a quarter of the project. 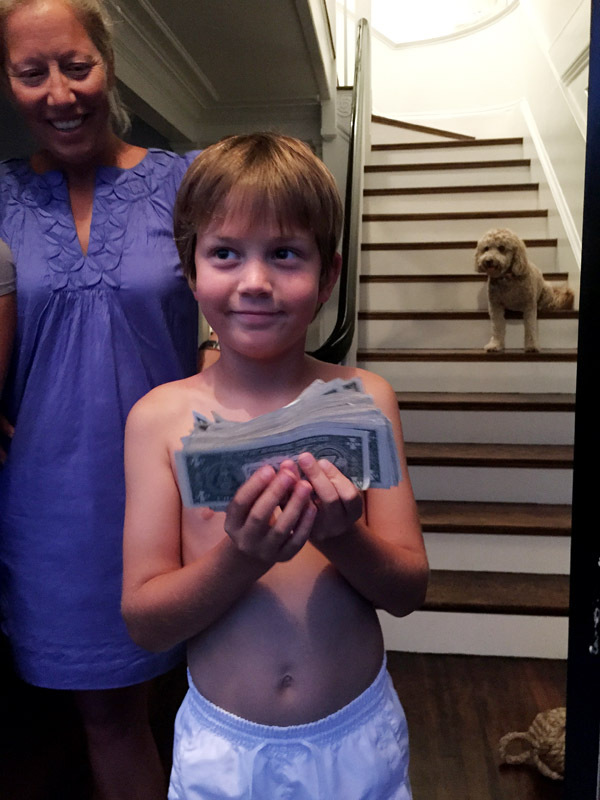 Ms. Phelan left with another financial commitment: $70, all in one dollar bills, donated by eight-year-old Teddy Palmer. He offered to donate his lemonade stand money on the condition that he can hold a heath hen when it is born. On Monday, others shared the reasons they support the project. Mr. Norton said his are abstract and “have to do with this being an inspiring challenge, as aspiration that mankind can reach for, so therefore why would we not?” Others asked if the heath hen might be a good reason to eradicate the Island’s irksome skunk population. Some, like Mr. Brand and Mr. Johnson, said they are motivated by their lifelong work in conservation. 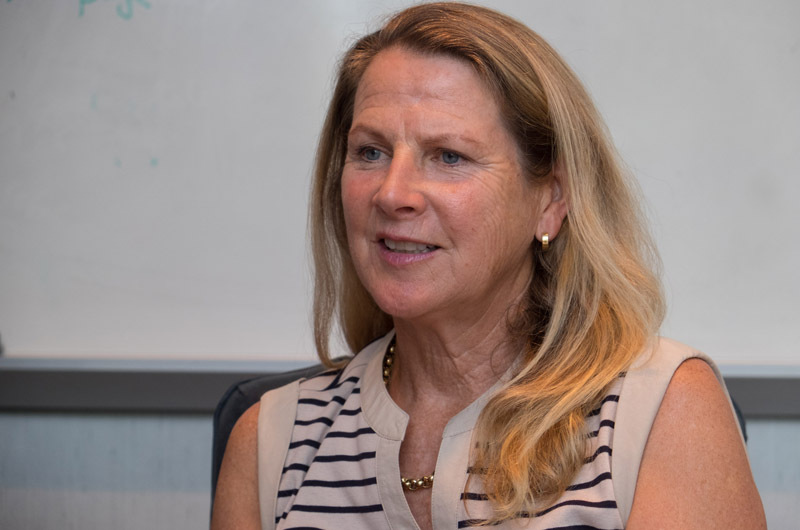 Ms. Phelan, who has a background in personalized medicine, said genetic rescue follows in that vein, and is bringing new donors and new volunteers to the table. “The truth is that my reasons for supporting this are completely emotional and value based,” Mr. Chase said. 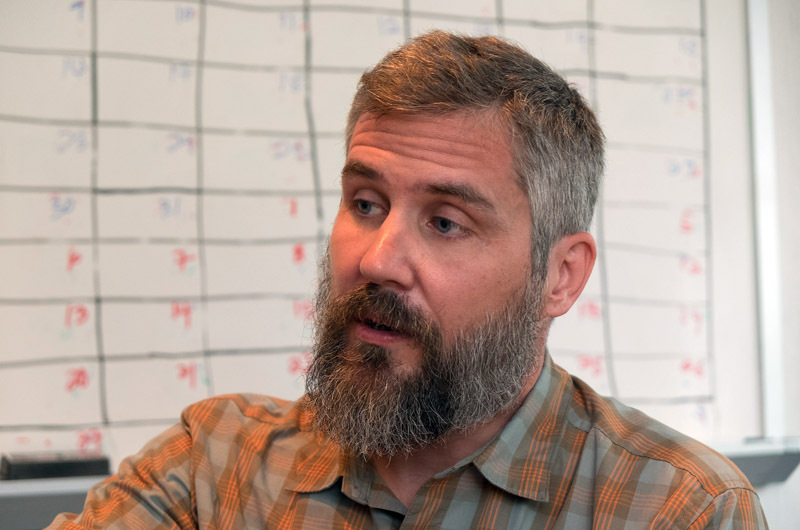 Born and raised on the Vineyard, he recalled the birds of his childhood — terns so abundant at State Beach that children wore their clamming buckets as protective hats from the diving birds, short-eared owls and harriers at Katama. “Kestrels were so abundant on Martha’s Vineyard one flew in my house once and perched at the end of my bed,” he said. “It was a time, like my father’s time, of freedom and abundance. This article has been corrected to reflect that the heath hen was considered a subspecies of the greater prairie chicken, not the lesser prairie chicken. What a waste of time, money and people who could be working on something useful like bringing back Ted Williams. This article interests me greatly because my Grandfather, Charles L. Savery, worked as a game keeper at the sanctuary on the Vineyard famed for its heath hen. He left the job in about 1914 with his wife & my 5 year old mother, both named Iva, and returned to the family home in Marion, MA. Fair questions! 1) Heath hens probably eat ticks, along with other bugs, berries, etc. But probably not enough to affect their population on the island. (Suppressing the ticks and Lyme disease will eventually come from other genetic techniques completely apart from de-extinction.) 2) Heath Hens nest in deep grass, not on the beach. 3) The idea is for Heath Hens to eventually prosper throughout the eastern seaboard, where they will be kept in check by the usual predators, including humans. If you want fewer birds in some area, just raise the bag limit for hunters. We will have our own Jurassic Park, think of the benefit to tourism, all the business owners will rejoice in the return of the heath hen and who knows what this might unleash???? The more things change, the more they remain the same. Have these people not seen Jurassic Park? What's gone is gone. Thankfully, not the same thing at all. I for one am extremely excited about bringing back extinct species and rewinding our modern landscapes; especially those who's ecological niches have gone unfilled. Not just important for de-extintion, this technology could help introduce needed genetic diversity into struggling species; ferrets, tigers, etc. I can't believe something like this caught my attention. Normally I could care less. I really hope this turns out to be a success. If so, just imagine the possibilities. Of course people need to be VERY careful. Bringing back the Jurassic Era just might wipe out the human population. Perhaps that's a good thing. I don't know. OK, back to work! We saw a health hen in our forrest, pretty sure anyway we will try to get a picture next time. Weird and amazing will be in touch. We are working on returning Columbian sharp-tailed grouse to southern BC, so a similar project, without the genetic component. I would suggest that you will need to think long and hard about predators if you want your population to get through the first few years. That will likely be more controversial than your actual attempt to restart the population. good luck!